We’ve previously reported on our Young Crawford Group activities, and the recent work of former scholars Anika Molesworth and Miriam McCormack (see links below). We’ve also had a series of reports and blogs from our young volunteers in Laos. For opportunities in international agricultural research, learn about our up-coming Annual Conference and 2016 Conference Scholarships—which are now open! Here we have a report from Erin Pope, a Western Australian 2015 Conference Scholar, who has kindly updated us on her work experience in Ethiopia. Hi, my name is Erin Pope and I am in my final year of Agribusiness at Curtin University, Perth. I come from a family farm in the Eastern Wheatbelt, WA, where we run a mixed cropping and sheep enterprise and I have always been keen to explore the idea of engaging in dry-land agriculture internationally. Through the Crawford Fund network, I was fortunate enough to arrange a 3-week work experience opportunity in Ethiopia with the FACASI project, which is funded by ACIAR. 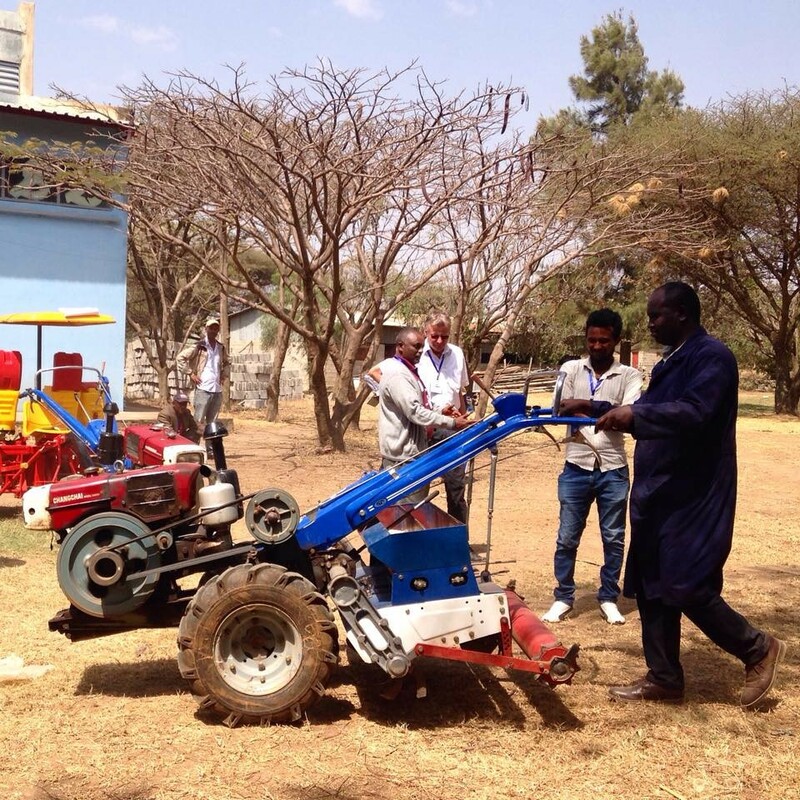 So at the start of January 2016, I set off to Addis Ababa, Ethiopia to learn more about mechanisation and its role in smallholder farmer and agricultural development. Farm power is often a forgotten resource when considering avenues of sustainable intensification, especially in Sub-Saharan Africa. 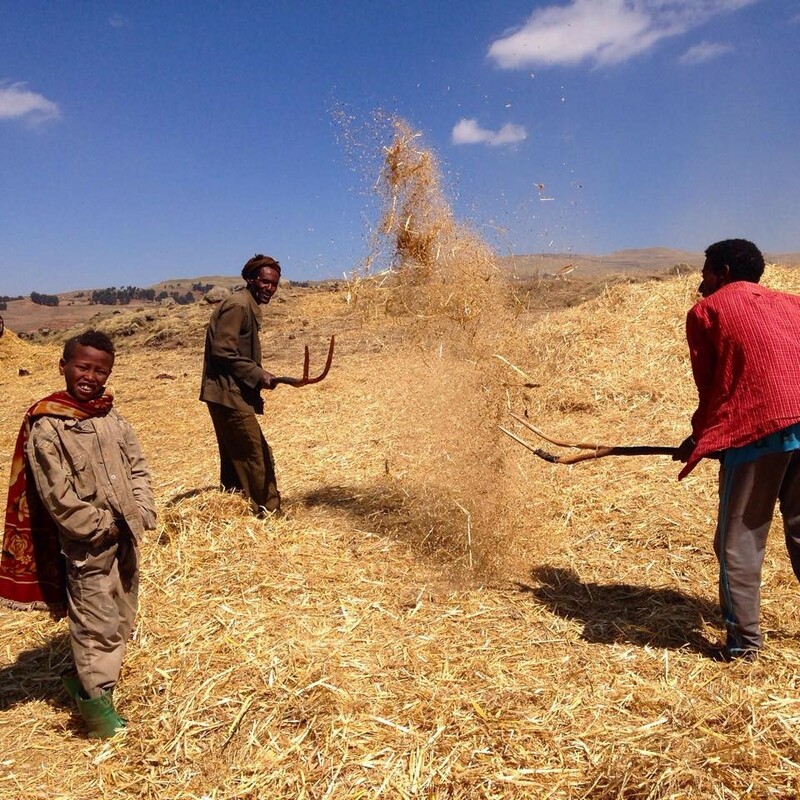 Agriculture in Ethiopia is predominantly subsistence farming and physically intensive using traditional practices with hand tools and animal operated implements. 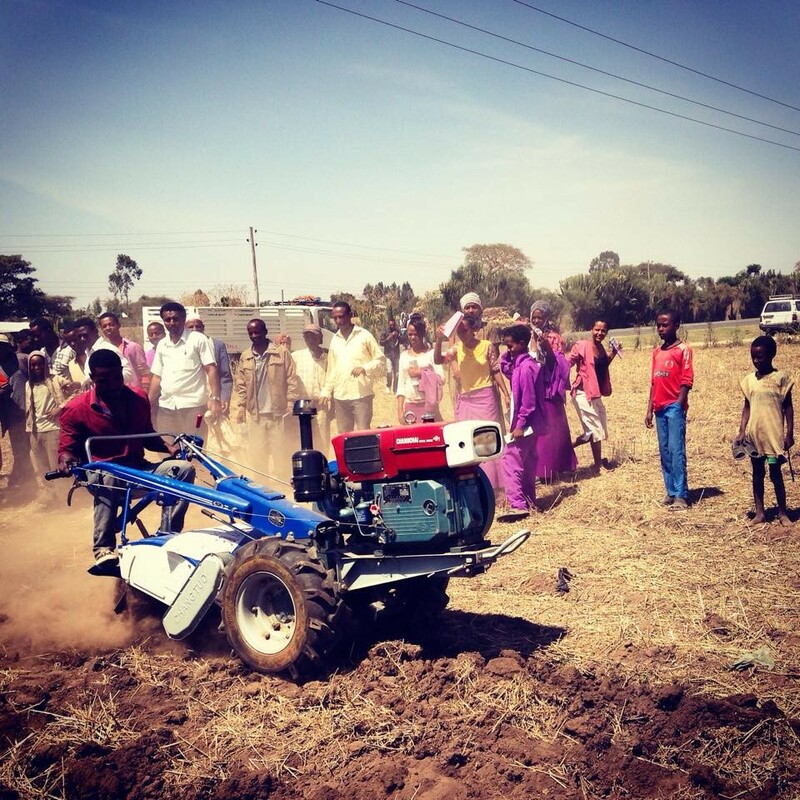 Farm power is on the decline with human labour shortages associated with a rural-urban migration pattern and the collapse of government tractor hire schemes, demonstrating the need for innovative unsubsidized systems to support smallholder farmers in accessing mechanisation. 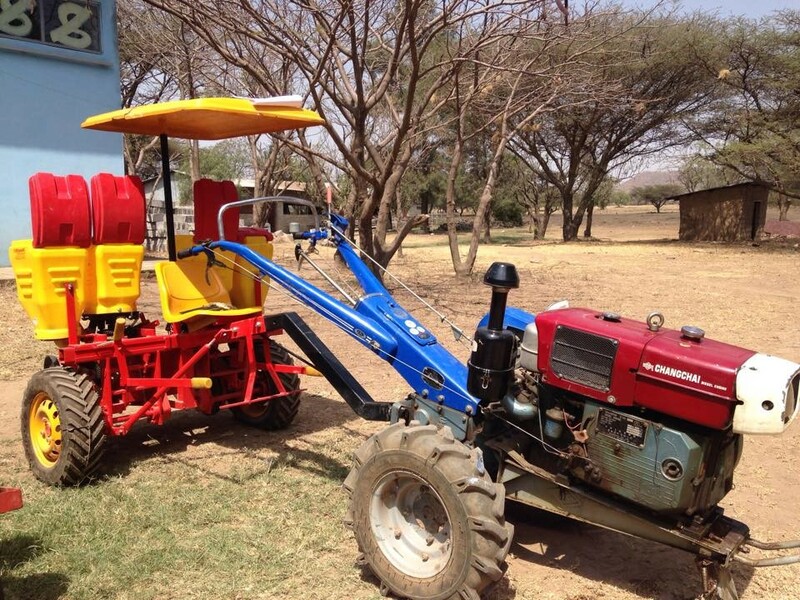 This project evolved from the findings that a range of 2-wheel tractor (2WT) technology was available regionally and globally but had not been tested systematically in Eastern and Southern Africa. 2WT are a valuable but uncommon source of farm power for smallholder farmers in Ethiopia, their attractiveness stems from their versatility. From methods of transporting inputs and produce on farm, to coupling with implements for sowing, they are capable of significantly increasing on-farm efficiency for smallholder farmers. 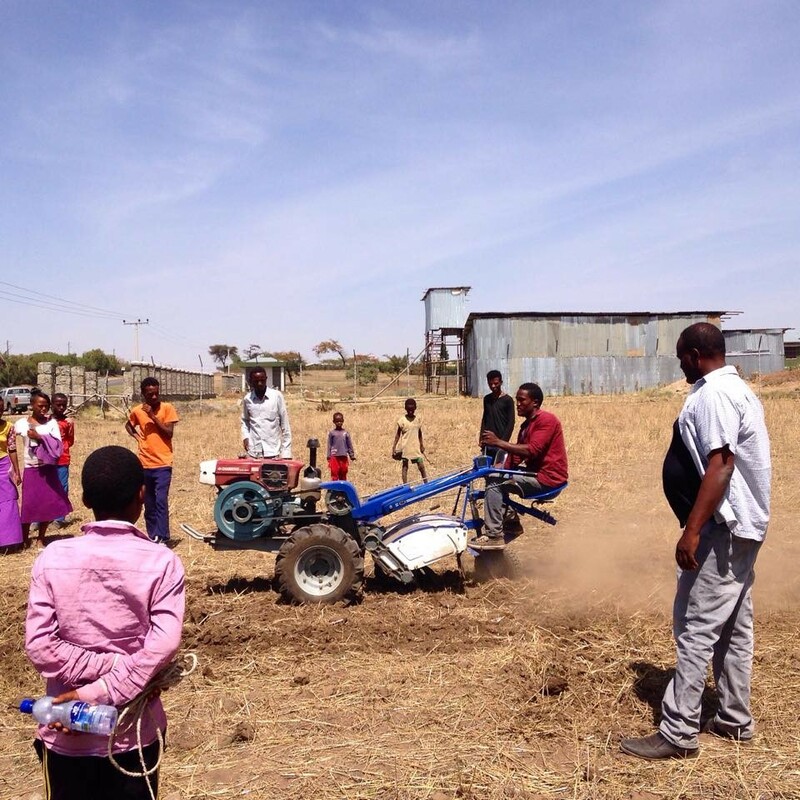 The FACASI Project has been working to build awareness surrounding 2WT technology in areas of Ethiopia through successful on-farm trials directed to address local information and technology gaps. Appropriate mechanisation technology in combination with conservation agriculture practices will assist smallholder farmers in reducing labor drudgery involved in conventional farming operations and increase productivity levels. As there was no initial market for 2WT in Ethiopia, the FACASI project shifted their focus from commercializing 2WT to instead developing a 2WT market. 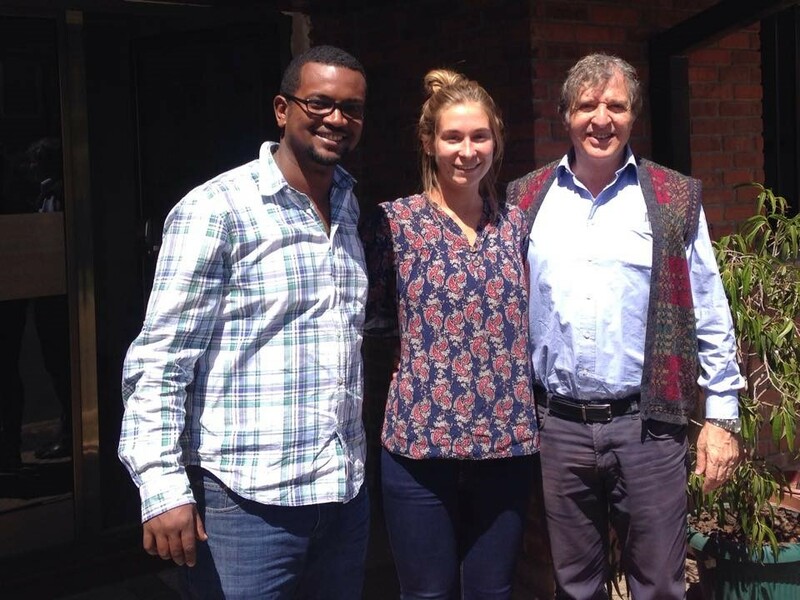 During my time with FACASI, I was able to learn from Esayas Mulatu, an Ethiopian Agribusiness Officer, and David Kahan, an Agribusiness Specialist. I spent time with Esayas in trial areas south of Addis Ababa to assist in fieldwork data collection for business model analysis; time was spent interviewing various actors in the value chain such as manufacturers, leading farmers, microfinance cooperatives, farmer unions and mechanical service providers to discover what underlying constraints and opportunities were present. 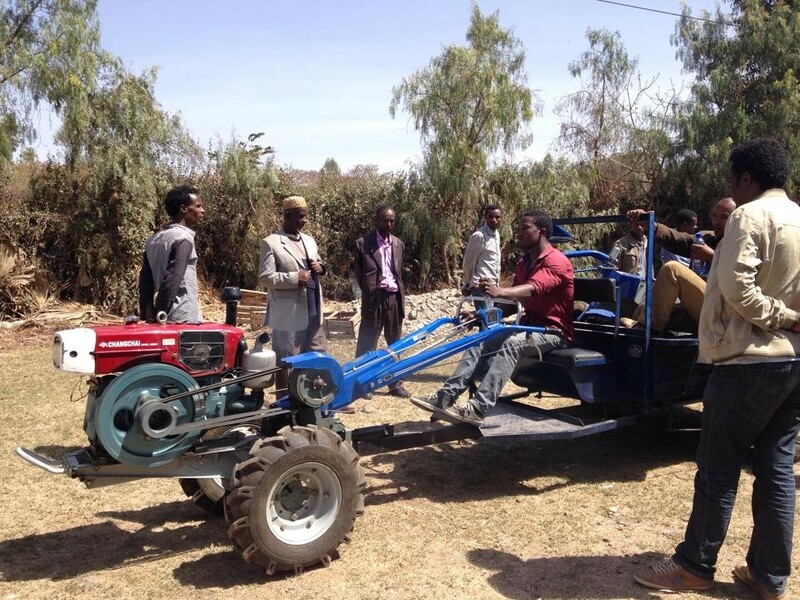 This was essential to identify the areas that needed to be strengthened, and even established, to commercialise 2WT technology in areas of Ethiopia. A workshop was held in Melkasa to discuss appropriate mechanisation for smallholder farmers, in which members from different agricultural bureaus attended. We spent time discussing strategies for implementation and identifying suitable areas to conduct further field trials. Different models of 2WT were brought in and various adapted implements from the engineering workshop were showcased to highlight the versatility of the technology. I was also involved in the delivery of a 2WT, trailer, cultivator and ploughing implements to Farmer Union groups and individual service providers—demonstrations were undertaken in the nearby field, which attracted the interest of an additional 40 locals! The FACASI project hopes to train individuals who will become service providers, utilising the technology to generate additional revenues through off-farm activities. These individuals will be involved in demonstration days to support exposure surrounding 2WT and conservation of agriculture practices. To assist with this, I contributed to developing and editing a service-provider training manual, which outlined basic business education and training activities for demonstrators to use as a teaching resource, and constructed a report for the FACASI newsletter to record significant project achievements regarding the partnership development between METEC (manufacturing company) and FACASI. I truly commend the Crawford Fund in their work towards facilitating agriculture university students to undertake training overseas—it is such a valuable way to drive interest into agriculture as a career choice. It provides the opportunity to build up much-needed practical skills and put into practice the theoretical learning each student builds up over their years of study. This experience was one that pushed me far out of my comfort zone as I traded the familiar feel of the university classrooms for the bustling city streets of Addis Ababa. Being able to travel for a purpose through developing areas has fueled my interest in international agriculture and especially towards extension work as a future career option.